How often do we over-schedule our weekends, with a case of the smondays* to follow? Family gatherings, nights out, shopping, dinners with friends, sports… We’re exhausted, physically and mentally, before the new week begins. Isn’t the idea of the weekend to slow down, recover, energize and prep for the week ahead? We’re really inspired by Kyra de Vreeze’s recent post on Sunday rest, where she stresses picking one day of the week to plan nothing in particular. Nothing. No musts or obligations. The School of Life suggests to regularly stare out of the window, do nothing in particular and reflect on your thoughts. Recently we’ve both had crazy busy work weeks, and so we even cancelled some of our weekend plans all together. Sounds impossible to you? Does your weekend schedule fill up without you even realizing or having a say in it? Here’s a helpful post we wrote about learning how to say no. 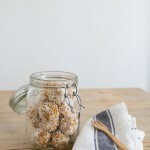 And the raw carrot cake bliss balls? You can prepare them on Saturday for the week ahead, like we did. Maybe you finish eating them all on Sunday, while you hang on the sofa and rest your head. 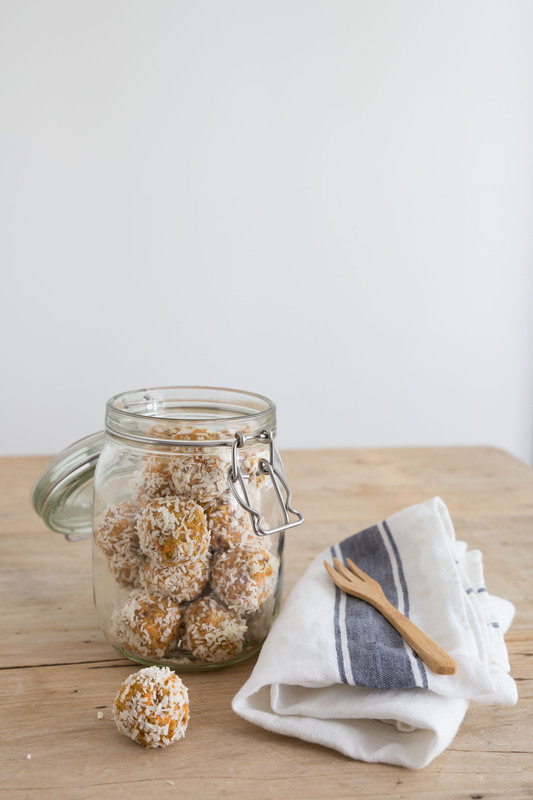 Or treat your colleagues on a Monday, to start the week healthy and fresh. *smonday: The moment when Sunday stops feeling like a Sunday and the anxiety of Monday kicks in. Use your food processor attachment to grate the carrots coarsely. Transfer to another bowl and set aside. 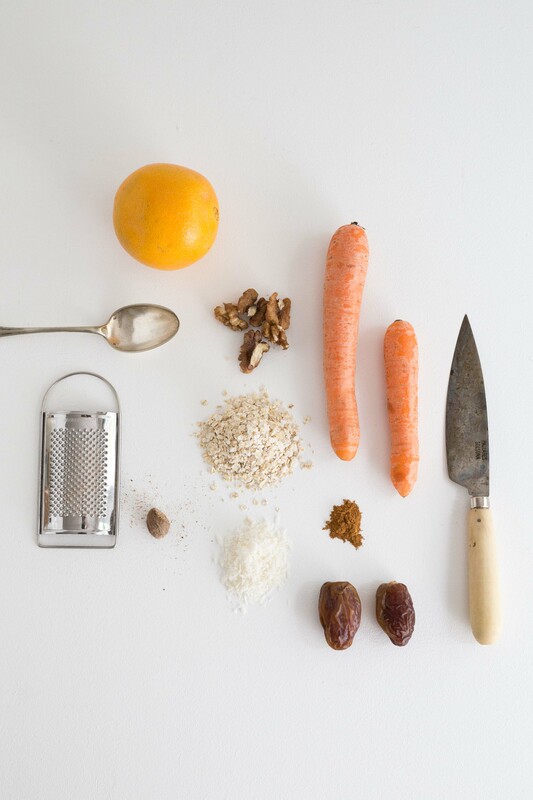 Replace the grater attachment with the S-shaped blade, and add oats, walnuts, dessicated coconut, cinnamon, nutmeg, orange zest and salt to your food processor. Pulse until finely ground. Chop the dates and add them to the oat mixture. Pulse to mix. Add your carrots and pulse again, until the mixture starts to stick together. 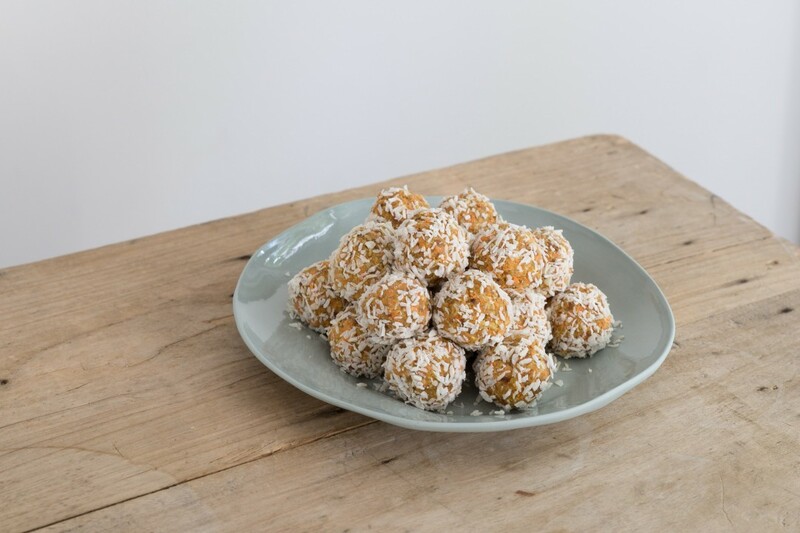 Roll about 20 balls of the carrot cake mixture and finish by coating them with a layer of dessicated coconut. Recipe adapted from SLA, Een handboek voor groen, gezond en geweldig lekker eten, by Ida de Haart.